To the girl who was a tomboy and totally changed to a lady out of a sudden that its kinda scary, -haha! To the girl who was a prefect but had to break a few prefect's rules because of me, -remember the matrix card and demerit slip incident? To the girl who makes up stupid songs with me and sings them a thousand times without getting sick, -remember the 50 cents song? Haha! 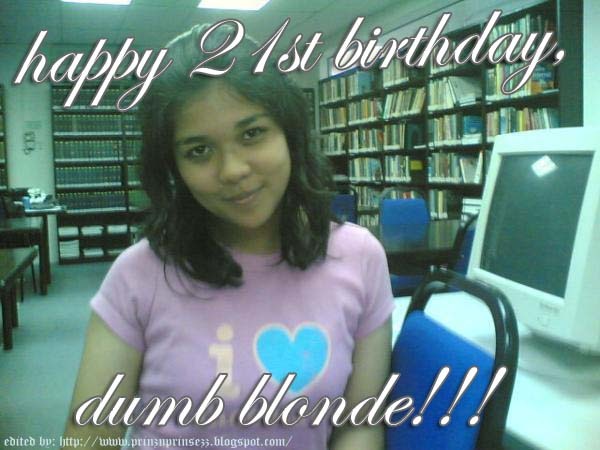 To the girl who is a brunette on the outside but is a total airhead dizzy blonde on the inside, -you dumb blonde, you!!! To the girl who received a special honor on my blog on this day, -not everyone can get k? But I think the photo we took together looks nicer. Whatever it is...you know my intention right? And my other intention was to lure you to my blog and help me get my hit counter rising. Anyways, all the best in your future undertaking and do try to take care of yourself. If that litlle boy ever bully you, call me. Not that I can whack him but I will basuh him fo good. Haha! K lah. That's all my friend. Hopefully what I wrote here made you weep just a little. That was another of my intention can? So long never made an adult cry d. everyday working only able to make little kids cry. Haha! I think I'm sadist, man. 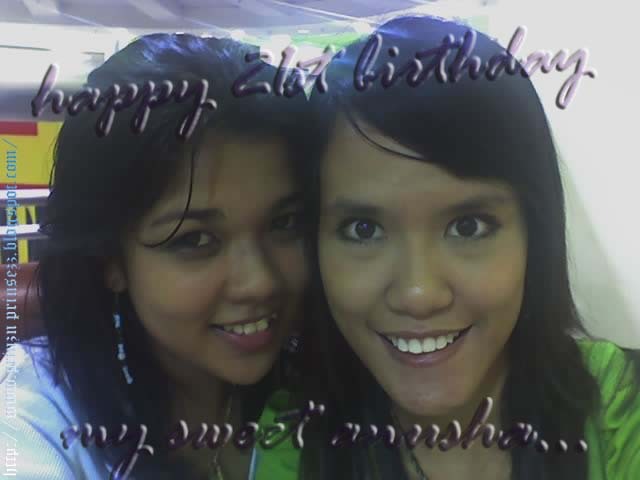 Lastly, here's a big cheers to our 7 year friendship and more to come... love you!!! just like old one dollar coin.